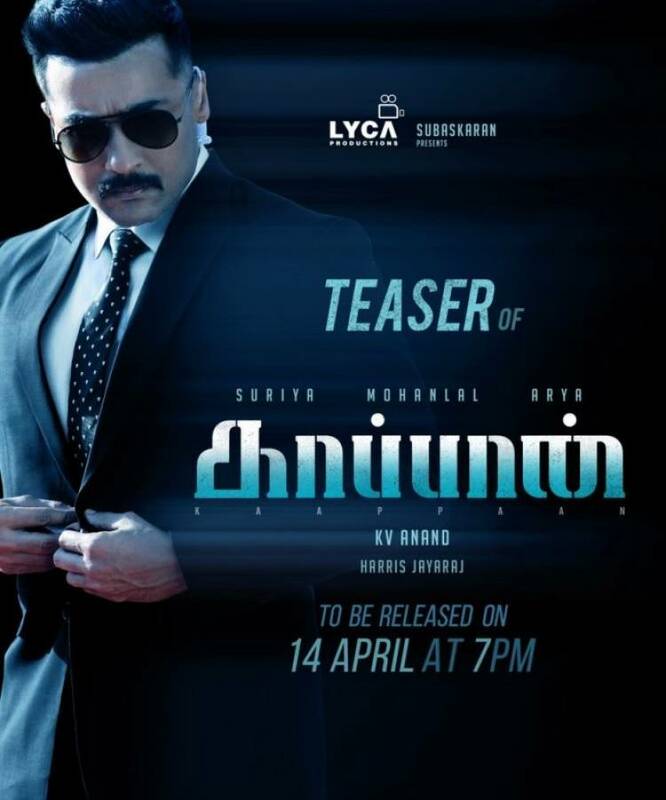 Actor Suriya, Mohan Lal, Arya, Sayyesshaa starring "Kaappaan" teaser to be released tomorrow (14th April) at 7Pm. 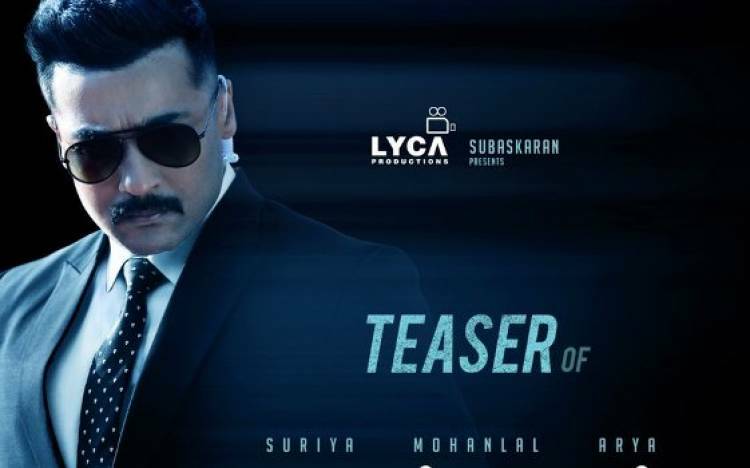 Directed by K.V Anand, music composed by Harris Jayaraj. The Greatest Showman Poster Out Now!